Nestled snuggly in the corner of my basement, a covered wooden box sits on legs that stand four feet high. Most people passing by don't even notice it. There is no smell and no litter. The basement temperature is like baby bears porridge-just right. More importantly, the temperature inside the box is neither too hot nor too cold. As I lift the cover to show a friend the secret to my gardening success, her face dims and all she can say is that "it looks like dirt". 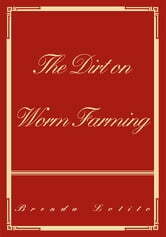 I sink my hand and then my forearm deep into the dark, moist loam and pull out a handful. 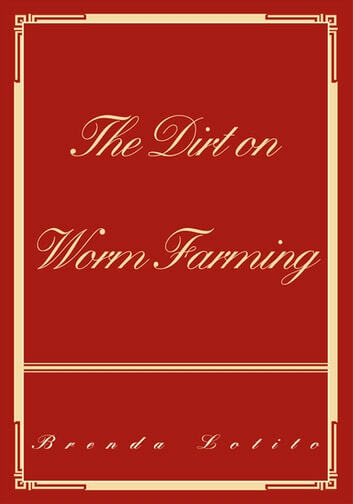 Wiggly, wriggly, slimy red worms slither about the loam, between my fingers, and on my palm. They begin to extend their body upwards, down, and around when the special cells on their bodies dubbed "eye spots" begin to detect light. My slimy handful of worms quickly stretch their bodies, then pull back together hurrying into the darker center of the pile. I place the handful of moist black earth back into the box. In the upper right hand corner, I lift a mound of damp shredded newspaper to reveal a pile of kitchen scraps surrounded by thousands of crawling compost eaters.